Fall is flying by, but if you’re thinking it’s too late to plant, it’s not! As long as the ground isn’t frozen you can keep planting. In fact, fall is the time to plant spring blooming bulbs. There are a few ways to plant them: individually, clumps, mass plantings or naturalizing. But, before we go there, let’s talk about bulbs. First, I’m going to use “bulb” in loose terms. 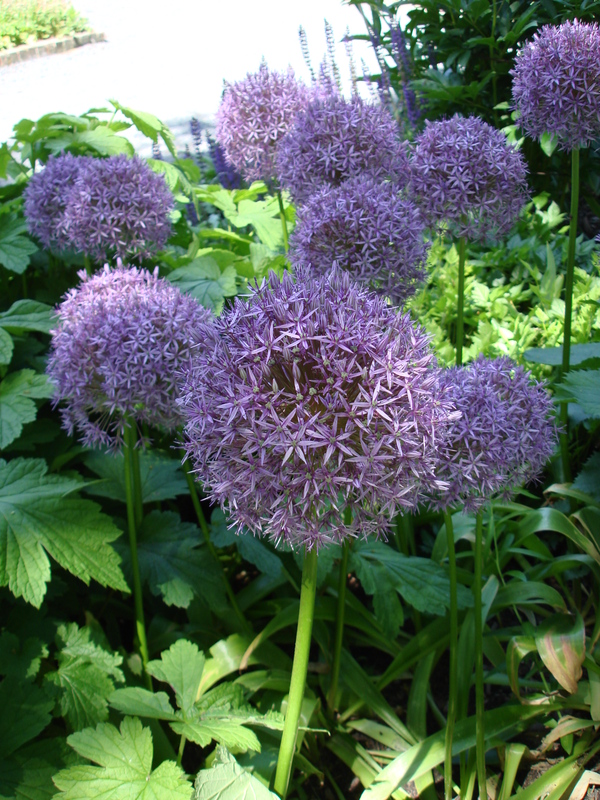 There are actually 4 different types of bulbs (tubers, corms, true bulbs and rhizomes). I won’t go into too much detail here, but they each have different growth habits and needs, which is why you might notice that not all bulbs behave the same way. Some get better over time, some decline. It’s in their nature. There are many different sizes and varieties of bulbs. When shopping for bulbs, you want to make sure you buy the biggest, healthy bulbs. First, make sure the bulb is fresh. Much like a good onion or head of garlic, you want the bulb to look fresh, be firm to the touch and the bulb’s natural paper (tunic/tunicate) should still be on the bulb and be tight. Also check basal plate (the flat spot at the bottom), it should be firm, not soft. If the bulb looks dry, has mold, has bruises, insect damage or the paper is gone, don’t buy it! It won’t produce a good bloom in the spring. Once you’ve selected your bulbs, be it tulips, daffodils, hyacinth, grape hyacinth, crocus, squill or scilla (the list goes on). Take them home and decide where you’re going to plant them (if you didn’t have a location in mind already). Most bulbs are sun-loving, but don’t let that scare you or limit where you plant them. 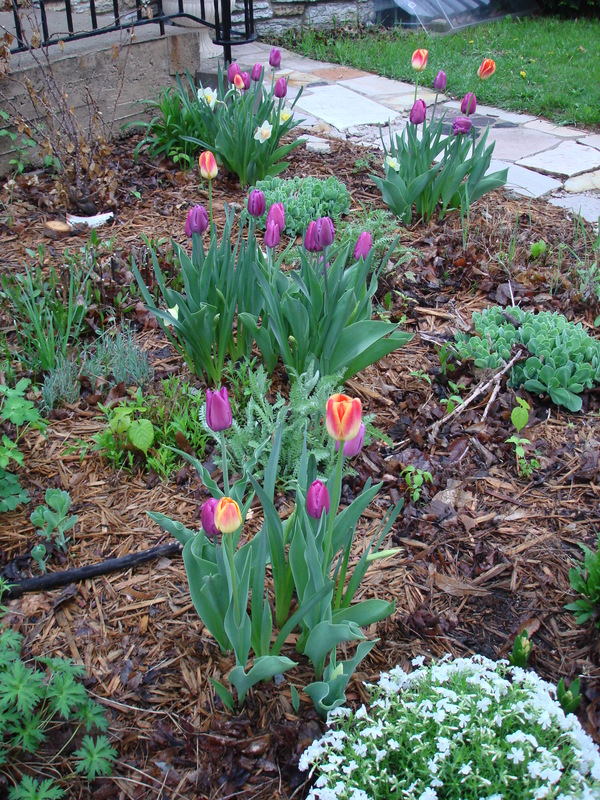 Keep in mind, bulbs bloom before most trees and shrubs have leafed out, so you can plant bulbs in an area that is typically a shade garden (assuming they are deciduous trees and shrubs and not evergreens). 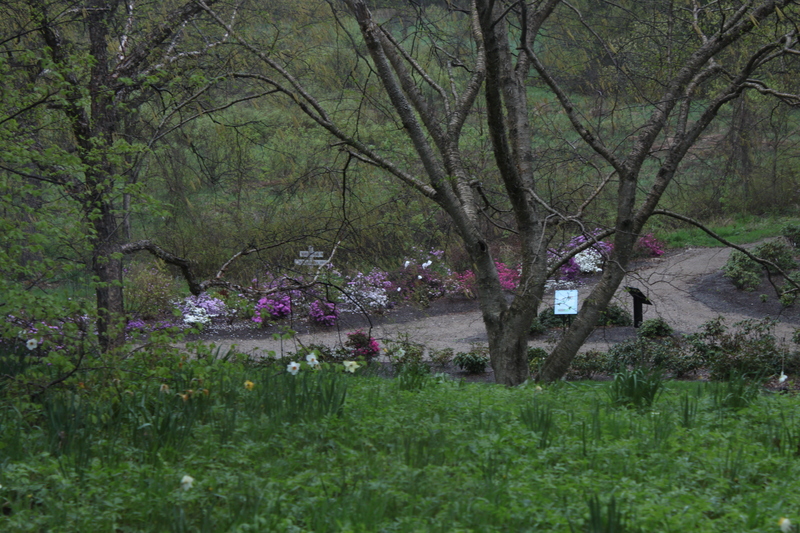 Once you have selected a site, decide on a planting style. Many of us grew up seeing individual rows of tulips planted across the front of a house. While pretty, I find bulbs to be far more stunning and make much more of an impact when planted in clumps, waves moving in and out of other plants or in mass. In general, bulbs are relatively inexpensive so it doesn’t cost a ton of money to make a big statement in the spring. Now, maybe you’re thinking, “Are you kidding me? I’m not going to plant a lot, they are such a pain to plant!” That used to be the case when all the only option was a garden trowel, but now there are tons of bulb planting tools available to make the job easier: bulb planters, bulb trowels, bulb (hand) augers, bulb augers for drills, pick axes, you name it. However, unless you have really hard soil, want to plant each bulb individually for old times sake or want to have them spaced a specific distance away from each other for a mass planting, I think it’s easier to just grab a shovel and dig a hole (or a trench as the case may be). If you’re not sure how deep to dig the hole, the rule of them is to plant bulbs 2 – 3 times deeper than their width, for example if you’re planting a bulb that is 2 inches across, you would dig a hole 6 inches deep and wide enough to fit the number of bulbs you want to plant plus room between each one so they don’t touch each other. Plan on an odd number of bulbs in each hole because odd numbers are most appealing to the eye. And as far as quantity goes, I would recommend 9 – 11 bulbs to achieve the most full, natural looking clump for large bulbs (tulips and daffodils) and more for smaller bulbs/corms. 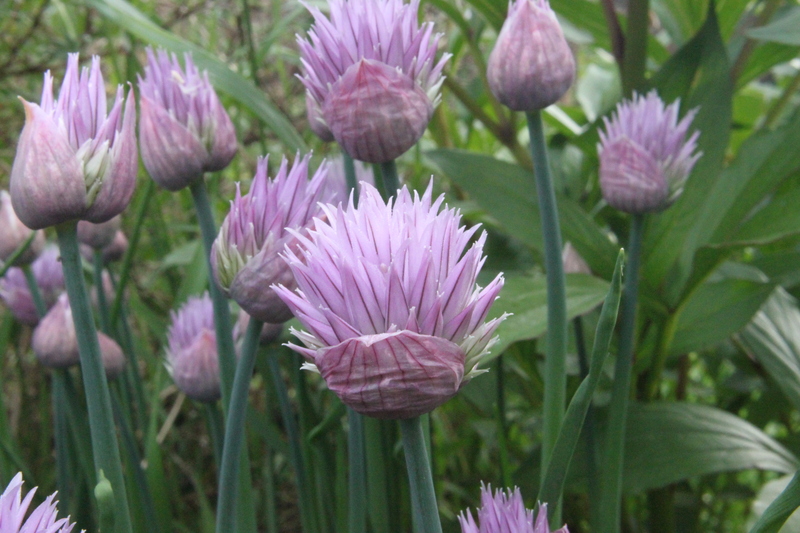 If you’re thinking about naturalizing bulbs, there are a few things to keep in mind. Some are definitely better than others for naturalizing because they will naturally multiply over time (daffodils, crocus, grape hyacinth, narcissus, squill, lily of the valley). Some of bulbs come to the surface and will need to be replanted every few years (grape hyacinth for example) because they continually “use up” the original bulb/corm and grow baby bulbs/cormals above the original bulb and then some bulbs will sink – yes, sink… their roots, called contractile roots, naturally pull them deeper and deeper into the soil each year (as with crocus). 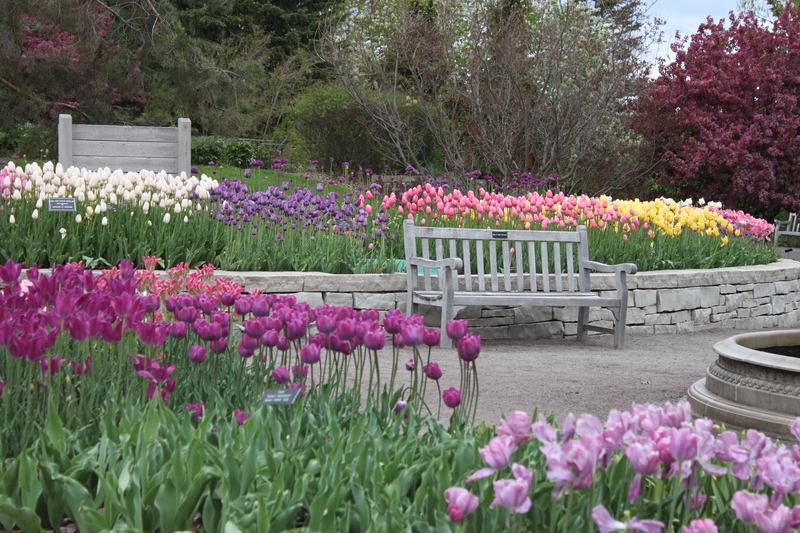 Others (most tulips) are sterile, in other words they won’t reproduce and will need to be replanted each year, therefore not making good naturalizing bulbs. The exception would be “species tulips”, which are typically smaller. Back to planting… Once the hole is dug, mix a little bone meal (to feed the bulbs) into the soil in the base of the hole, then place the bulbs in the hole. When placing the bulbs there is typically a flat or flat-ish side (called the basal plate) this is the end that you will find dried roots. The other end (top) is typically pointed. Place the bulb pointed side up and make sure there is soil between the bulbs so the bulbs are not touching or they will rot. Once placed, cover with soil and water well. 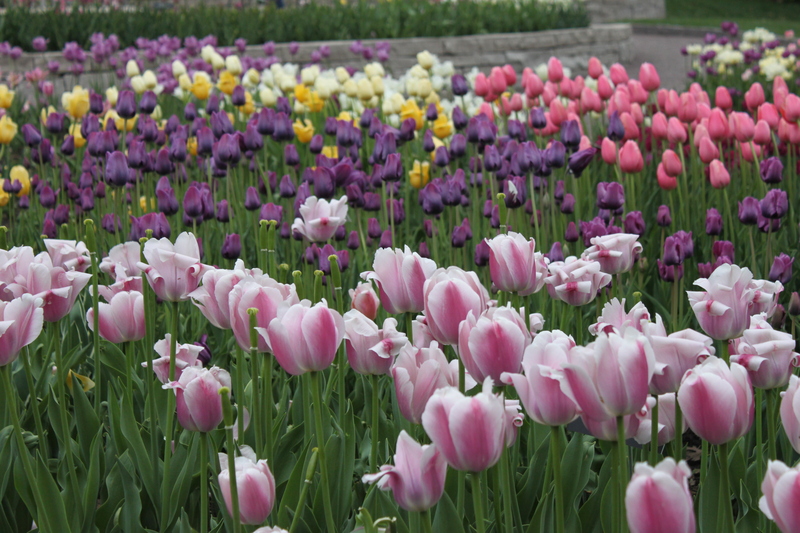 If you like to mix bulbs, for example daffodils and tulips in the same hole, not a problem. “But wait!” you say, “My tulip bulbs are bigger than my daffodil bulbs. 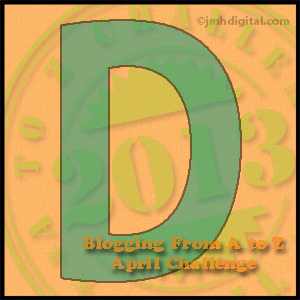 How deep do I dig my hole?” Here’s the trick. Did the hole deep enough for your tulips, plant your tulips as explained above, then put a shallow layer of soil in to the hole (an inch or so) again, so the bulbs don’t touch, then plant your daffodil bulbs. “But what if I plant one right on top of the other without knowing it?” Not to worry, plants are pretty smart. They’ll work their way around the upper bulbs and make their way to the surface just fine. Squirrel problems? I’ve heard a lot of people complain about squirrels “un-doing” all their hard work. Nothing is more frustrating than throwing soil on your last hole, dusting the dirt off of yourself, only to look over and see the squirrels have already relocated your bulbs! There are a couple of tricks when it comes to squirrels. 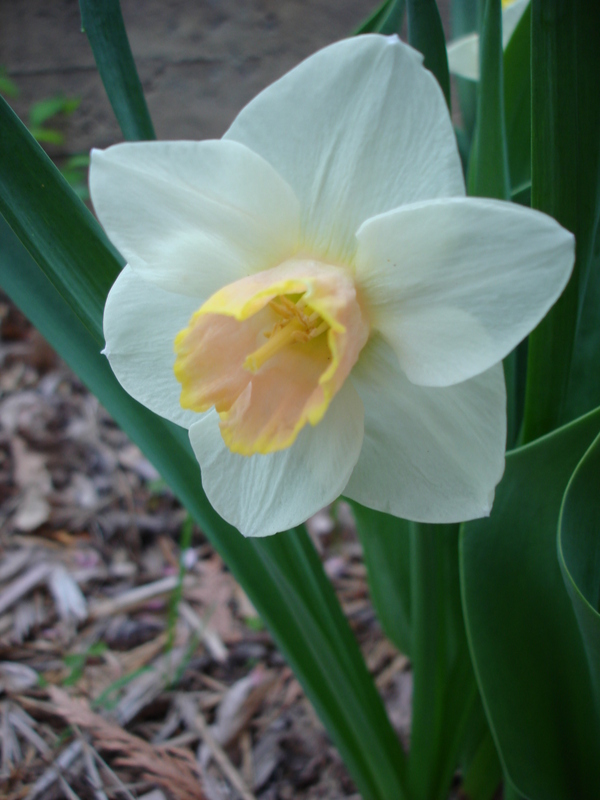 Typically squirrels are not a fan of daffodils because daffodils are in the onion family… so…. if you plant daffodils above your tulips there is far less chance of them digging them up. Another method of protection is to add a piece of chicken wire above the bulbs between layers of soil to prevent them from digging. Again, the plants will find their way through and the squirrels will most likely be frustrated and move on.